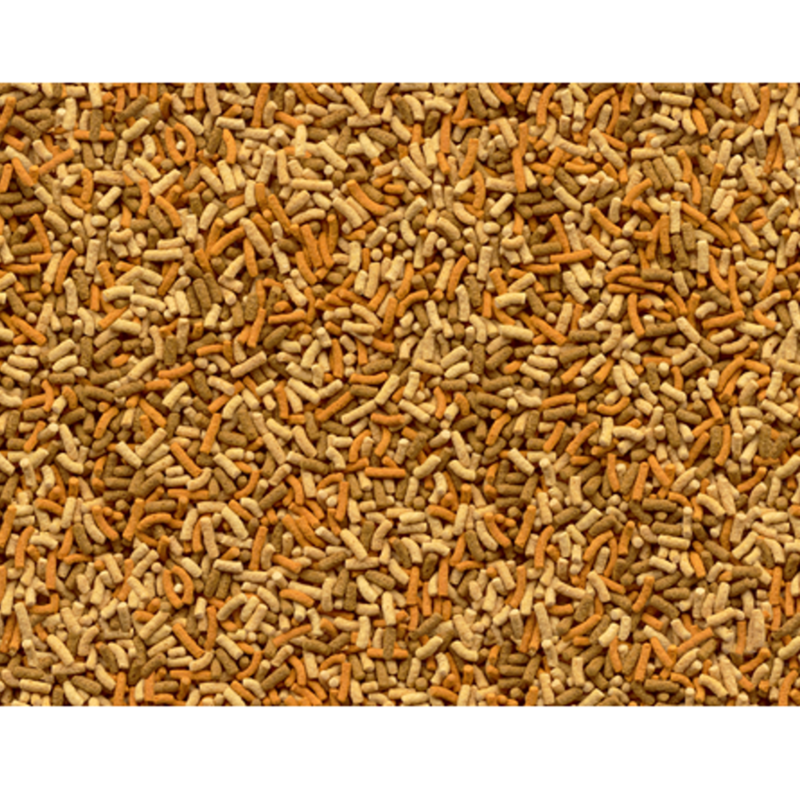 Mix of food sticks for a complete and varied diet. Feed Tetra Pond Variety Sticks 2-4 times a day (depending on the temperature), feeding only as much as the fish will consume within a few minutes. 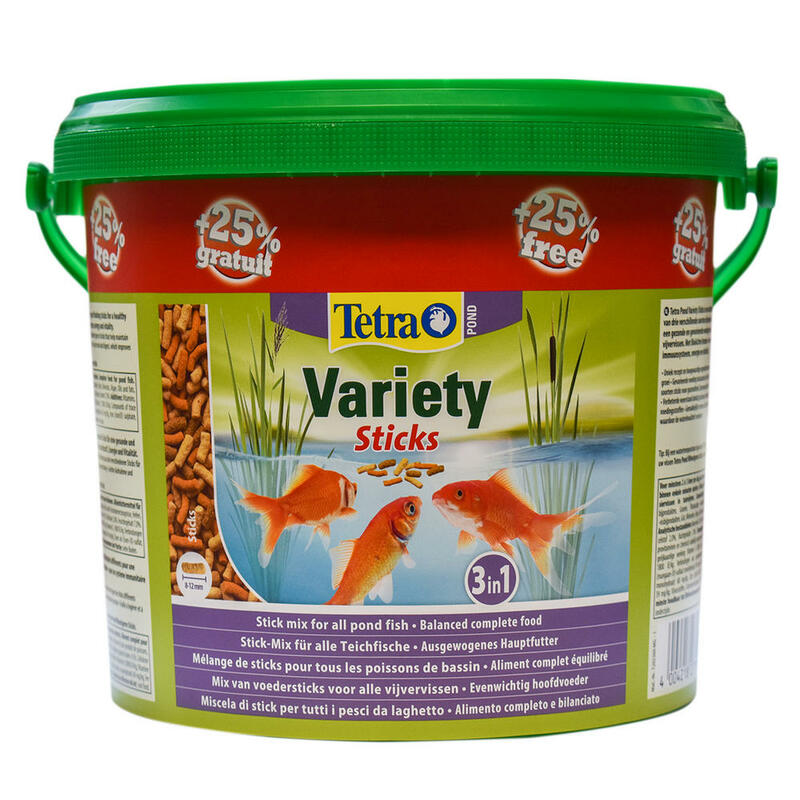 Below 10°C, stop feeding Tetra Pond Variety Sticks and switch to Tetra Pond Wheatgerm Sticks.